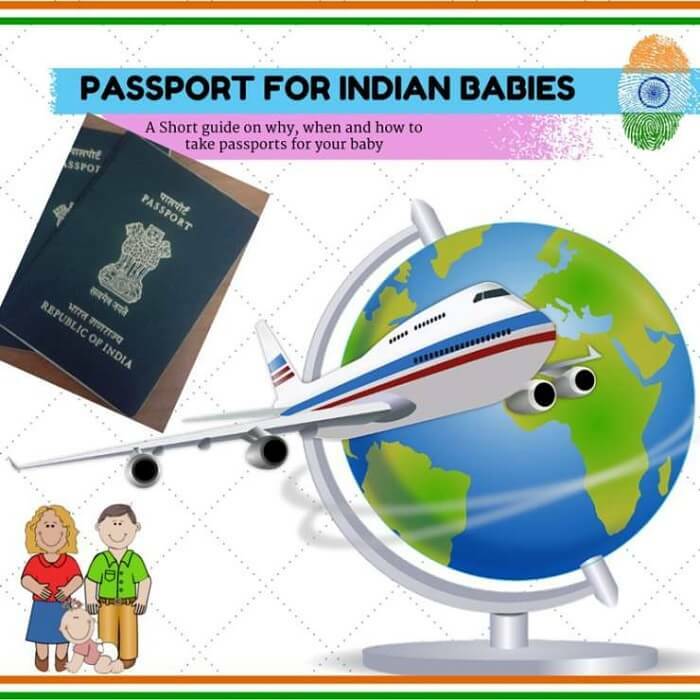 Through this post we will see how to apply and the whole process of passport for babies in India. In today’s scenario, it is common for many of us to fly outside our country once in a while. Most of us are likely to have our own valid passports. But have you thought of applying passport for your little one? Why is it a good idea to apply for your kid’s passport in advance? It is a good idea to apply for a passport as early as possible for your baby. We all tend to forget the need to apply for kid’s passport until we plan for an international trip. Before applying for a minor’s passport, you may need to add spouse name in each of the parent’s passport. Hence, it is a good idea to think of these things in advance to avoid last minute hassle. Where to apply for your baby’s passport? 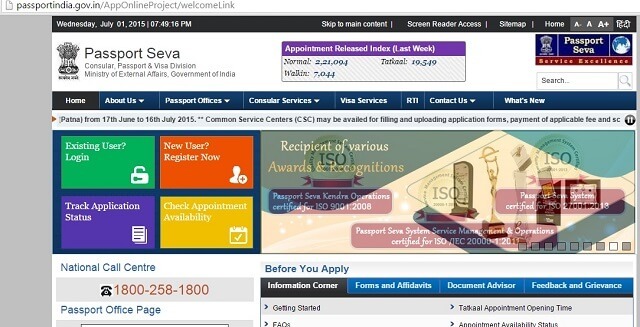 The Government of India has made the process of applying for new passport/ renewal very easy. Hence, there is no need to involve agents to get your work done. 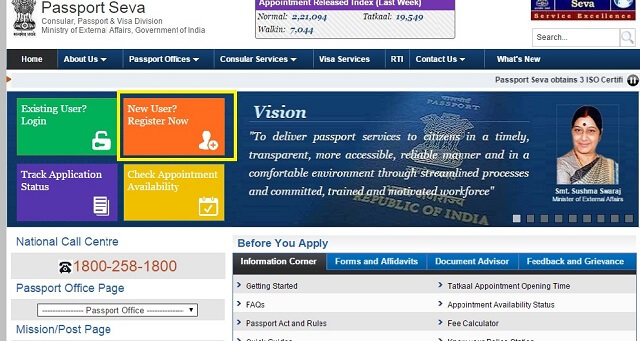 The Passport India website has clear-cut information regarding how to apply for new/ renewal of passport. You can also submit the application form and schedule an appointment at the Passport Seva Kendra (PSK) near you through the same website. In the normal case, where both parents are residing in India and have valid Indian passports, you will need the following major documents. To make sure about the documents required please go to the website. In the home page under ‘Before You Apply’ go for the ‘Document Advisor’. You can see ‘Documents required for Fresh passport’ and ‘Documents required for re-issue of passport’. Then click on “documents required for fresh passport”. You will be directed to a form. 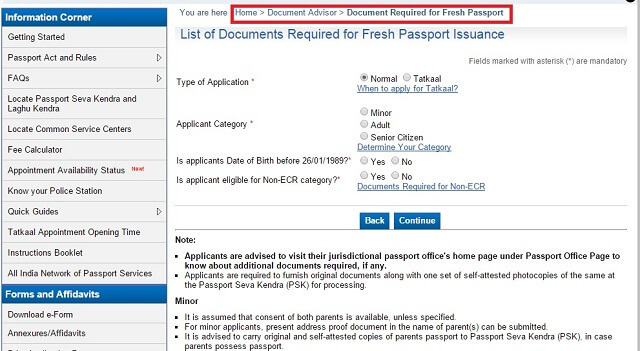 Please check the appropriate boxes that indicate that you want to apply for fresh passport for a minor. The list of required documents will be displayed. 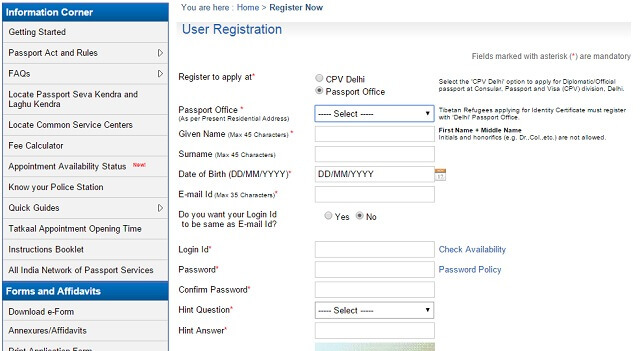 The first step is to create a login id in the official passport of India website by clicking “register now” link. Once you create a login id you can login, clicking ‘Existing User? Login’ link. 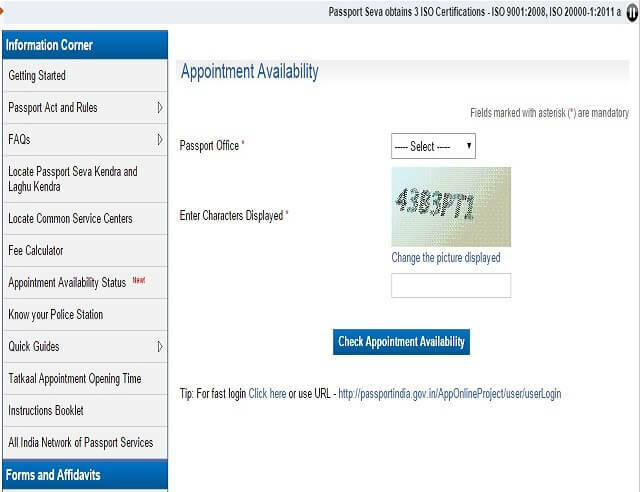 The same user id can be used for applying/ renewing passport for three people in your family. No need to create separate login ids. Once you have comfortably learnt the process above, please go to the applicant home under your login. There will be an option to “Apply for fresh passport/ reissue of passport”. 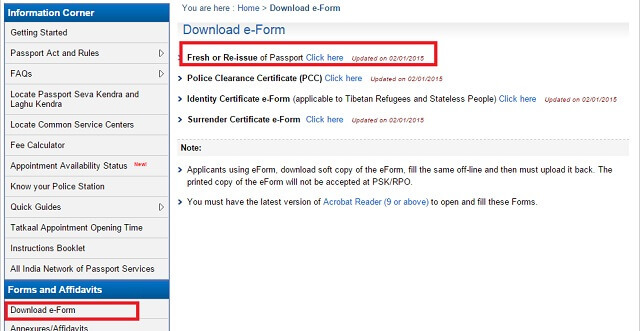 Download the e-form and upload it after filling. In the “Information corner” in the home page, there is a link called ‘Appointment Availability Status’. 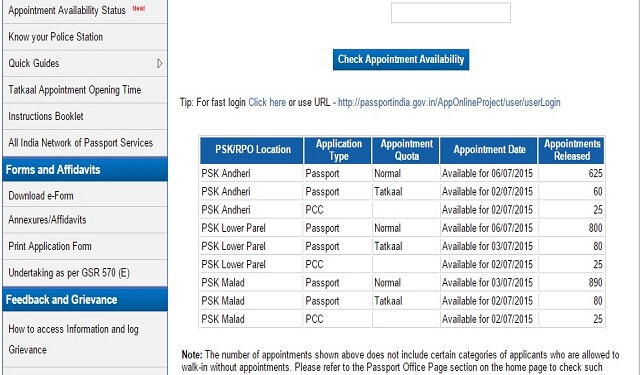 Please click on that to know which PSKs have appointments for which date. Now click on the “Pay and book appointment” link under the “View Saved/Submitted Applications” screen to schedule an appointment. You can select the PSK for which you want to go. The date in which appointment is available will be displayed here also. If that date is ok, then go ahead; make the payment online and book appointment. The time and date of appointment will be displayed. Please make a note of it. It’s not possible to choose a date convenient to you. Instead, you can just check which date the website will allow you to book appointment for a given PSK. If that date is not appropriate, you will need to check back after a few days to see if a convenient date is available. If date is convenient, then only book an appointment. However, if you are not available for some reason on the date and time given, you have an option to reschedule the appointment up to two times. This has to be done at least one day in advance. Make sure all the documents are ready. One of the parents can attest the xerox copies on behalf of the minor. Make sure you reach the place at least fifteen minutes in advance. Ideally, both parents should be available along with the child for the appointment. Don’t forget to print and sign the Annexure H which is available in the website. Please find which other documents are relevant to your situation and take all of them. In the PSK, you will have to go through procedures at three counters. Counter A- Here the documents are verified. The TCS officials also take care of uploading the supporting documents in the website and taking the photo for applicants older than four years. You may be also asked to fill in a form. A thump impression of your baby will be also taken here. TCS officials take care of the counter A. Counter B- Here, your documents will be approved/ rejected. Counter C- Here, your passport will be granted and a file number will be given to you to track the application status. You will be receiving the passport by post. With proper documents, police verification will not be done for minors. You can track the status of your submitted application by entering the file number that will be provided to you. Click here to track the application status. It is ideal to have the spouse name added in both your passports. Since your passport will be the address proof for the minor too, it is ideal to have same address in both your passports. If this is not the case, you can apply for renewal of each of your passports first. The way to apply is very similar to the details mentioned in this article. Just substitute them with your own appropriate details. For tatkal category, and also for children under the age of six, walk-in is allowed without appointment at certain PSKs in each city. In Chennai, walk-in for minors are allowed in Tambaram PSK upto 1 AM. Please ensure that your child is eligible for walk-in if you are not scheduling an appointment. It is always best to take an appointment when possible. There is no need to upload documents online as of now. It will be done at the PSK. These days, normal passports come home within a week or two after the appointment. But really, there is no deadline for normal passports. If you want to be sure to get your passport within a week, you can go for tatkal. Though the website specifies one of the n number of proofs is enough, take as many supporting documents as you can get. When I went for my renewal and address change, I took my husband’s passport as proof of my address. This is mentioned as valid in the website. However, it was rejected at counter B and I was asked to open a joint account with my husband in a nationalized bank. I had to open the account and go for rescheduled appointment with bank passbook as address proof. I have covered the normal case here where both parents are alive and married and live in India. If there is any special case, please check the website or call their customer care for clear details. The passport rules may change with time. So be sure to check the website for latest rules before you apply. Remember that sometimes the appointment can take more time than you expect. Please plan your work, your kid’s meal, sleep etc. accordingly. At counter A at the PSK, thump impression of your baby will be taken. So make sure you take wet wipes along with you and wipe the ink off once the impression is taken. Hope this article on getting passport for babies was useful for you. Wish you all success in getting the passport and enjoy the international trips with your little ones. Did you take passport for your baby? Where did you get it from? How was your experience of the whole process of passport for babies? Share with me in comments please. PS: This article will be subjected to changes and updation as per the official passport website of India. Previous ArticleBumps n Baby Parenting Forum Launched – Join NOW! me n my hubby are applying for passport together n we want to apply for my 2yr old son passport,since we r not having our passport yet, we can apply for all three passport together?? Hey Vandana, I appreciate the effort and concern you have taken to write this post. The post indeed reduced a lot of pressure on me while applying passport for my little one. Kudos to you. What is the validity of passport for infants? Please note that I have written this article based on my own personal experience with getting passport for my kid. Any questions about specific scenarios are best answered by calling the PSK customer support team. Even then, from my personal experience, the decision of the authorities that u meet in PSK will be final. So it is imperative to go with the best and maximum supporting documents you can get. Please note that if reader has any specific scenarios, I am not in an authoritaive position to give answers to those. 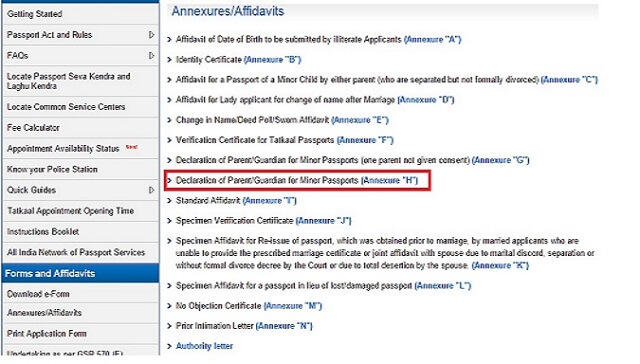 In my passport, my spouse name is not added, but in my wife’s passport spouse name is added. Address are same in both passport. Will That be a problem to get baby’s passport ? Thanks Vandana! The information regarding the procedure to apply for baby’s passport was helpful. Really so useful article. really i would like to appreciate the effort you put for the article. great job. The address on my passport is my parents home and not my current address; However my passport has my husband’s name on it. I am applying for a passport for my baby and for renewal of my husbands passport. Do I still need to change my passport to the new address? It would be great if I didn’t have to re-apply. Secondly if I have to re-apply, then can I apply for all three passports together or do I first need to apply for mine and my husbands and then do the passport for my baby ? Please advise on both questions. This is Praneeth. I have the passport and my wife doesn’t have yet. However, i have my spouse name on my passport. The thing is, i will be leaving for abroad in a month and i heard that both parents should be available for applying the passport for their Infant Kid (just 1 year old). So i want to apply for my kid ASAP. Thanks Vandana! This was very helpful. Do we need to go to Pskov while applying under the Tatkal option? Thanks vandna….This is very important information for baby passport. Hi Ranjith, this is not ideal, but u shud be able to get thru. Try to get additional address proofs such as joint bank account passbook from nationalized bank. U can also call up passport tollfree number and clarify…. Very informative post. Thanks Vandana..